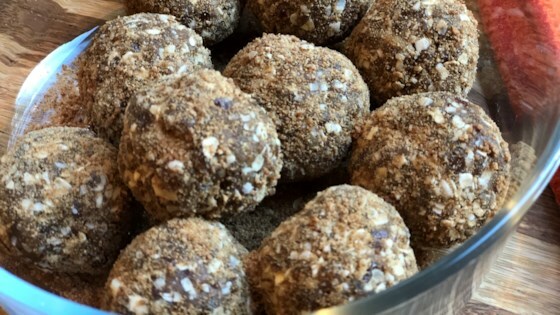 "These easy raw vegan gingerbread cookie balls, made with almond flour, oats, and dates are also gluten free, and taste just like Christmas." Place rolled oats, almond flour, cinnamon, ginger, nutmeg, and vanilla extract in a blender; blend until smooth. Blend in dates, in batches, until a soft dough forms. Shape into 1-inch balls and roll in coconut sugar.